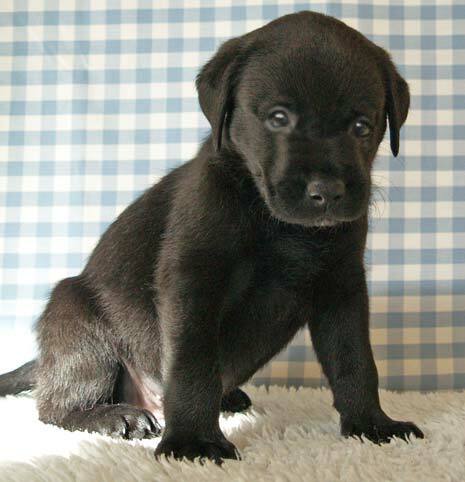 After a lot of fun and fundraising to reach their £5,000 target, Sainsbury's in Dronfield has now received a photo (below) of the Guide Dog puppy they named Dawson, aged six-weeks-old. Over the next 12 months, staff at Sainsbury's will hear what little Dawson has been up to as they receive a puppy birth certificate, personalised updates on his training and a final photo as he leaves his puppy walker to go to Guide Dog Training School. They will also meet up with Dawson in 'person', so they can see first hand how well he is doing and ask questions about his progress. Jo Broughn of Sainsbury's says: "It was surprisingly easy to raise the £5,000. Everyone got behind it and came up with loads of imaginative ideas like sponsored walks and bag packs. "But the reality of what we've done hit us when we received the photograph of him. All puppies are cute, but ours is quite special. We can't wait to follow his progress over the next 12 months or so." Jo Berry from Guide Dogs, says: "I hope the staff at Sainsbury's know just how much they have done to bring independence of a blind or partially sighted person. A guide dog brings confidence, mobility and companionship. Dawson will truly change a life." There are around 180,000 blind and partially sighted people living in the UK who find it difficult to leave home on their own. Guide Dogs wants to change that, but as we receive no government or statutory funding. They rely entirely on the generosity of the public to provide a service that makes a massive difference to the lives of blind and partial sighted people.